The Charlotte Hornets are eyeing consecutive road wins for just the second time this campaign as they close out their three-game season series with the Pacers starting tonight at 7 p.m. ET. In the head-to-head meetings this year, the home team is a perfect 2-0, with Indiana winning most recently, 120-95, on Jan. 20. The hosts had five different players score at least 14 points in this game and as a team, shot 47.0 percent and 51.9 percent from the field and three-point range, respectively. Kemba Walker had a team-high 23 points and seven assists for the Hornets, who turned the ball over 16 times leading to 20 Indiana points. 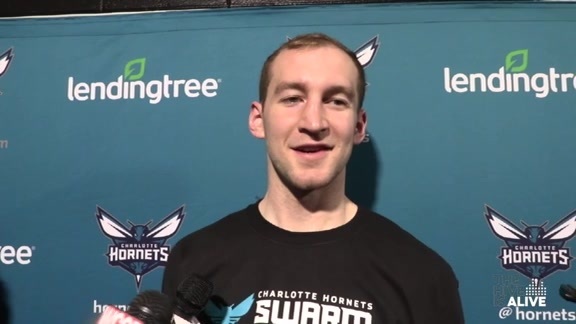 Cody Zeller was still recovering from hand surgery when the Jan. 20 game rolled around, but had 15 points and five rebounds in a home win against the Pacers back on Nov. 21. He’s looked like his old self since returning from that 16-game absence though, posting averages of 8.3 PPG on 61.5 percent shooting, 10.7 RPG (4.0 ORB), 2.3 APG and 1.0 SPG in 24.5 MPG over three appearances, two of which were off bench. After losing All-Star Victor Oladipo to a season-ending knee injury on Jan. 23, the Pacers dropped their next four games, but have since won five straight outings. Offensively-versatile center Myles Turners has been huge for the Pacers during this win streak, posting averages of 16.4 PPG on 56.1 percent shooting, 1.8 3PM, 5.0 RPG, 1.2 APG, 1.6 SPG and 3.6 BPG. As of Sunday afternoon, the Texas product is iffy to play against the Hornets (right knee). 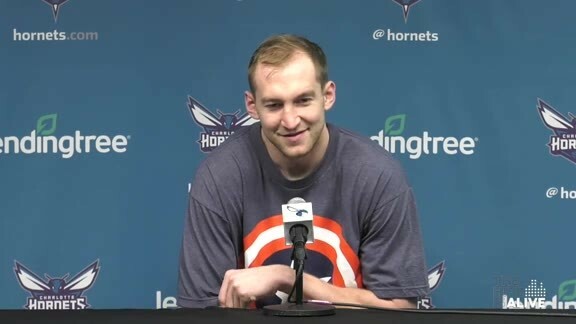 Turner leads the NBA in blocks (2.75 PG) and is ninth amongst centers in total three-pointers made (47 on 40.5 percent shooting), the latter an area where Zeller’s presence will be much welcomed. If Turner can’t go, Indiana will turn to another very talented big man in Domantas Sabonis. 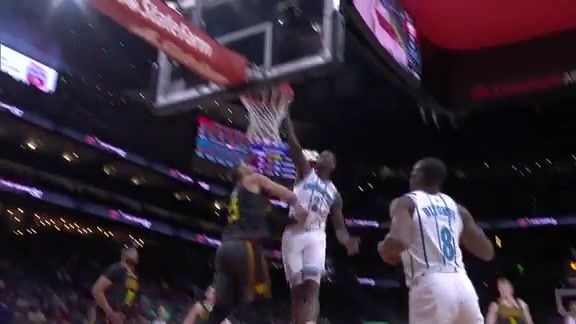 Regardless of who’s minding the lane, Charlotte needs to do a much better job with giveaways and hitting open shots compared to their last showing at Bankers Life Fieldhouse. Game Note – Indiana is second in the NBA in defensive rating (104.1)… Doug McDermott (ribs) is also questionable for the Pacers… Tony Parker is doubtful for Charlotte (back strain), which would be his third consecutive game missed… Wes Matthews is expected to make his debut for the Pacers after getting bought out by the Knicks following his trade from Dallas. Classic Fact – Kelly Tripucka scored 40 points in the Hornets’ 115-106 win over the Pacers on Dec. 14, 1988, which was the first 40-point game in team history. Tripucka went on to notch two more 40-point outings that season: Jan. 16, 1989 at Philadelphia and Feb. 25, 1989 vs. San Antonio.